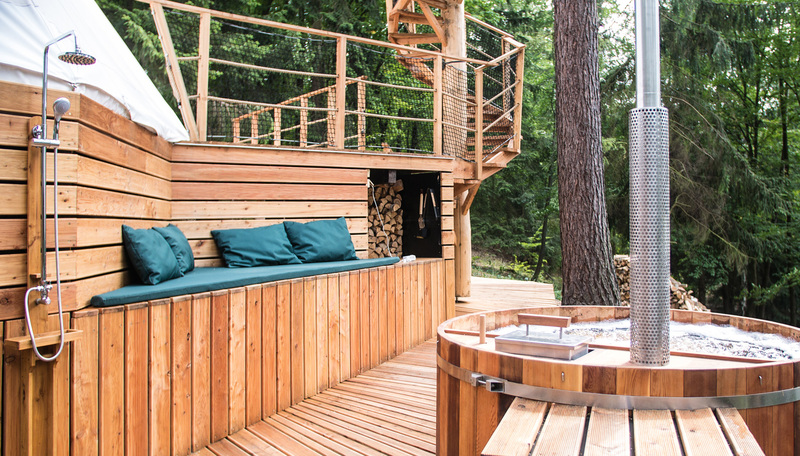 Do you love unusual types of accommodation; do you enjoy resting and relaxing in nature’s embrace? Or are you looking for an original gift for your family or friends? 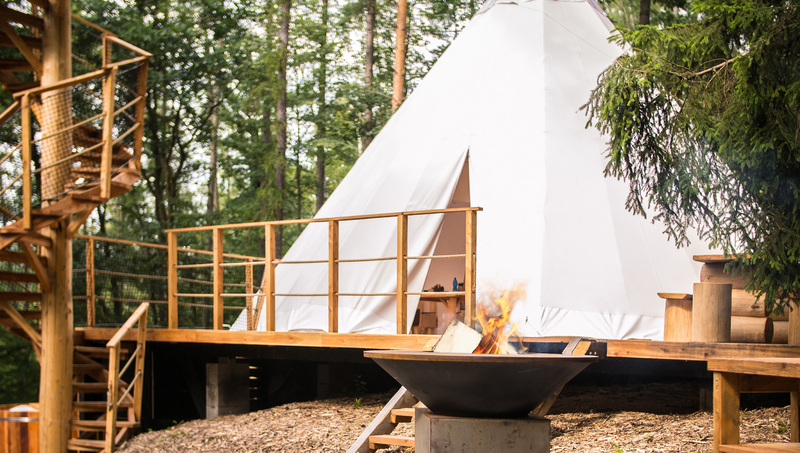 We can offer you a real treat: a luxury tepee with an outdoor spa – a cedar sauna and whirlpool bath, a sun deck, observation terrace and barbecue. 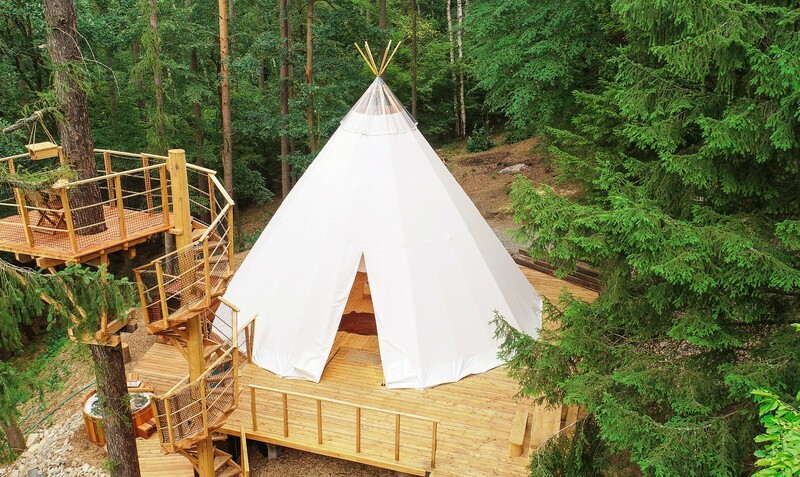 The Teepee is located in the picturesque Sázava river region, in the village of Pyskočely about 45 km southeast of Prague, between the town of Sázava and Stříbrná Skalice. The Ve Studeném National Nature Reserve, located on the left valley side of the Sázava river, can be reached by foot. You will be surprised by the preserved beech forests (there are massive beech trees that are over 250 years old!) and scree forests, often with a virgin forest structure. Sufficient natural regeneration dynamics and a high diversity of tree species offer a home to many species of animals and birds. The tepee (also known as “tipi”, “teepee”) was a dwelling for aboriginals living on the Great Plains and surrounding areas. The word comes from the Lakota language and it originally means “dwelling”. It basically consisted of a large covering sewn together from bison calf skin, and later from canvas bought from the whites, stretched on 9–20 long wooden poles forming the shape of a cone. 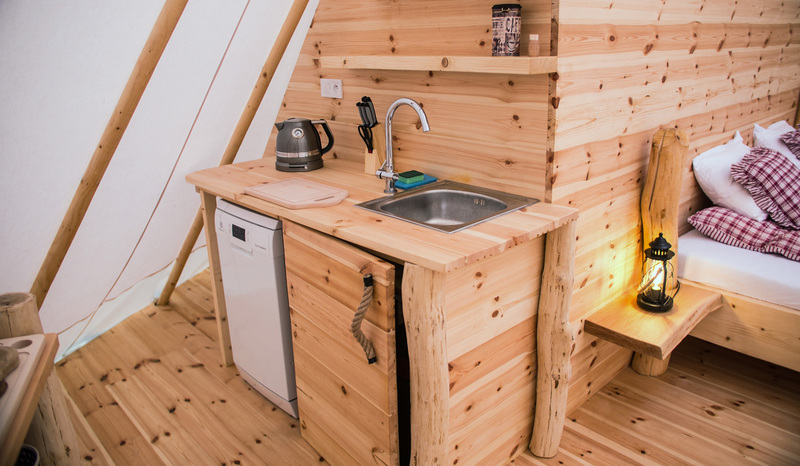 Our tepees are offer very comfortable accommodation for up to five people, where you can spend days full of relaxation and comfort both in the winter cold and summer heat. 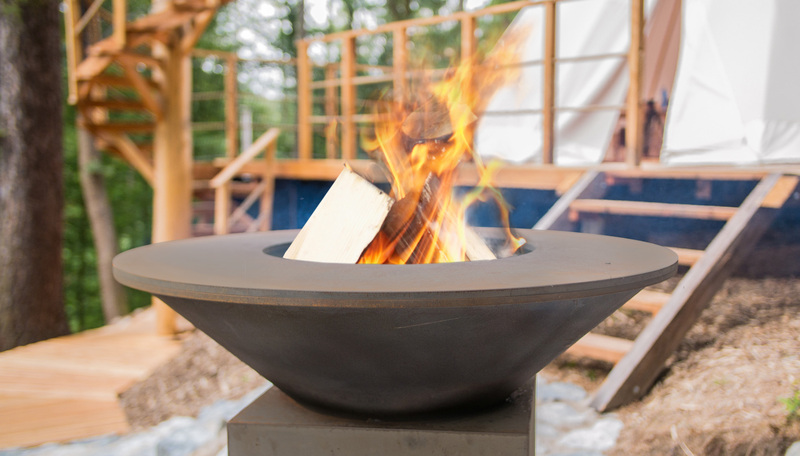 Unlike the aboriginals, there is a shower stall, toilet, a fridge full of selected wines and snacks from our range of products, a fully-automated comfortable pellet stove, and hand-made raw wood furniture. 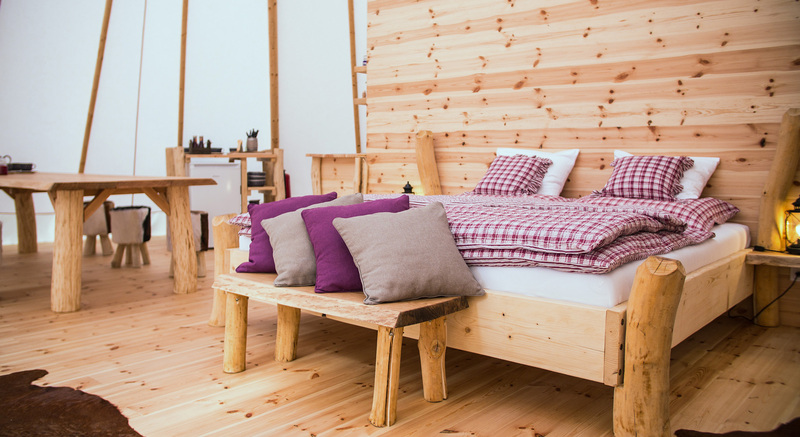 In addition to a comfortable living space in the tepee, you are welcome to use the outdoor space and the recesses of the relaxation wellness zone for undisturbed relaxation, sunbathing, reading, meditation or a glass of something delicious. The whirlpool bath and sauna are made of cedar wood, which was also a highly regarded material in ancient times. The wood contains resin, which gives it its typical, beautiful aroma. Moreover, cedar wood has antibacterial and anti-inflammatory effects; it can soothe and relax the entire nervous system and can significantly strengthen the immune system. Water drawn from an old well, which is almost 120 m deep, combined with the cedar wood, create the unforgettable honey-coloured spa. 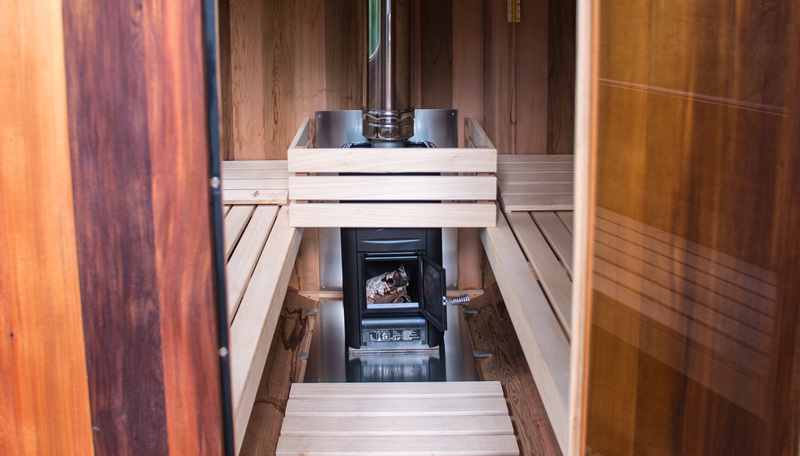 The temperature of the spa and sauna can be controlled through a special wood-burning stove. And after taking a sauna, you can cool down in an outdoor shower. Luxury relaxation is associated with delicious food too. Our Grill Master will arrive at an agreed time, bring all the ingredients as per your wishes, and will heat up the barbecue and serve excellent treats just the way you like them. 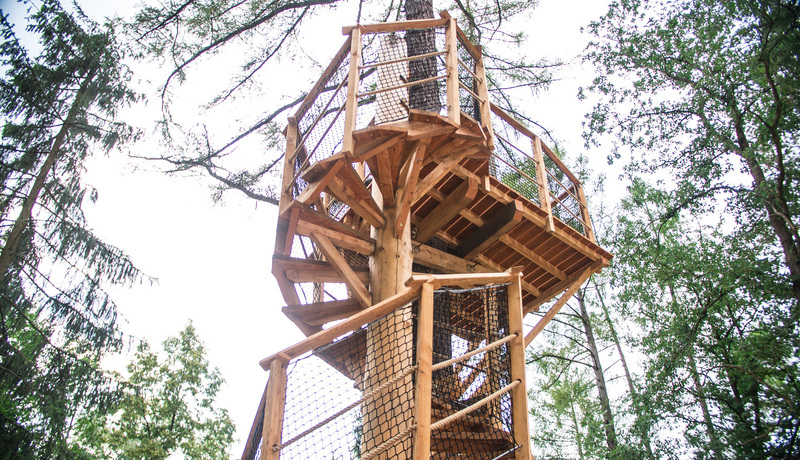 And if you are a little jealous of the Stromhouse guests’ height, enjoy your breakfast or a glass of wine at sunset one meter higher: on the tepee’s observation terrace. Sports enthusiasts can rent mountain bikes or a tennis court (approx. 200 meters away). For trip tips, click HERE. The cost includes an “Economy” breakfast, which consists of butter (incl. cream cheese spread), ham (containing 98% meat), sliced cheese, oat flakes, müsli, juice, fruits or vegetables, milk and baked goods. Coffee and tea are available throughout your stay. 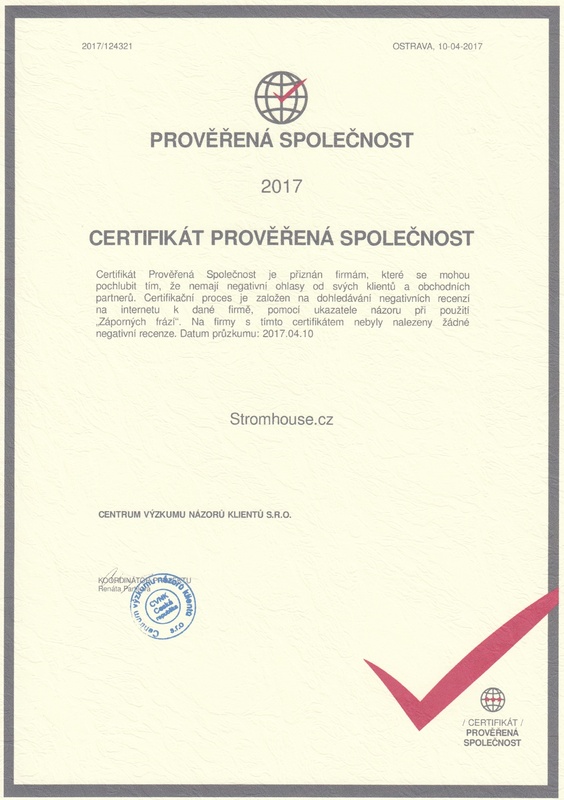 You can buy a “Royal” breakfast for an extra fee of CZK 150 and get quality yoghurts, at least three kinds of smoked meats and pâtés (all supplied by the renowned local butcher with his own traditional production), and at least four types of cheese. You can order also quality smoked sausages, fabulously smoked bacon, tenderloin or collar for barbecue. We can also prepare great meat for the barbecue. A deposit of CZK 1,000 per night must be paid within one week following the booking confirmation. If the deposit is not paid even after demands for payment, the reservation will be cancelled. If the reservation is cancelled, the deposit will be forfeited in favour of TeePee&Spa in any case, and the right to refund will expire. The cancellation fees from points 2 – 4 will be demanded. If a customer wishes to change the dates of a booking within 14 days prior to arrival, the deposit will be used for the new dates. By sending your booking you agree to the information contained in the "Declaration of Compliance with Safety Instructions", Cancellation Conditions and with Processing of Personal Data.